Away from the office. Signal occasionally. No e-mails, no phones. Yesterday you was still sitting in the office in your uncomfortably tight blouse and desperately struggled all day with colleagues. So drastic change! As far as the eye can see, sky-blue sea. White, sandy beach of the uninhabited islands. The much-talked-about coral reefs, and of course the fishes…they are amazing! The life is not much…eat, sleep, dive! 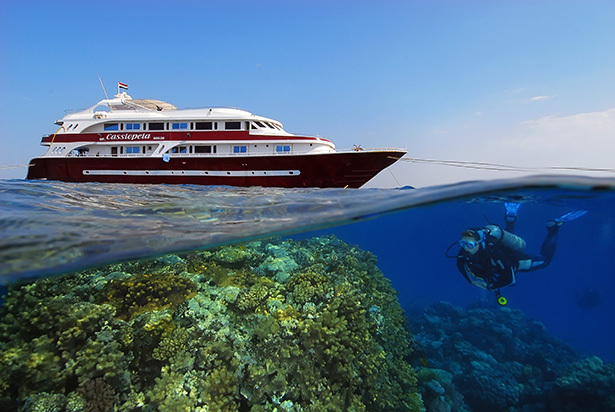 The liveaboard experience certainly spoils divers. The simplicity of life on the waves coupled with first rate diving and superior service make liveaboards a deservedly popular option. And no where will you find more choice than in the Egyptian Red Sea. From learner divers to hardened tekkies there is a route to suit in the Egyptian Red Sea. Long gone are the days when divers had to make do. Today’s liveaboards are designed to make your every dream come true. Generous sized cabins, en suite bathrooms, nitrox, water maker, air con – these are just some of the standards you can expect on each and every one of our boats. Have a waterpipe after dive sunsets and your week is certain to be a success, no mater which criteria you judge it by. 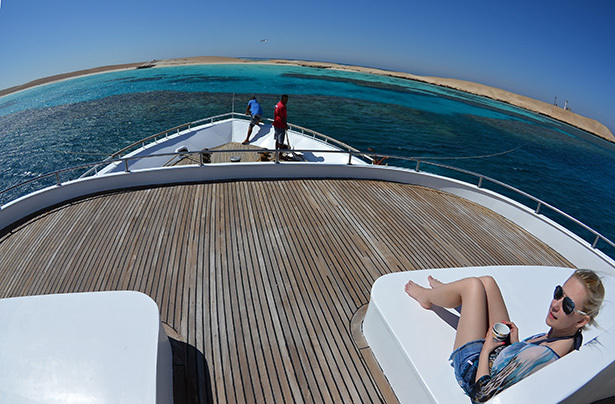 Liveaboards depart from Hurghada or Marsa Alam, depending on the itinerary. The Northern Red Sea itineraries are ideal if you are new to this way of dive travel or if you want to visit the many world class wrecks the region is so famed for. The Deep South is a mixture of elegant pinnacles and delicious hard coral gardens. Sail out to any of the Marine Parks for adrenalin fueled drift diving and big fish a plenty. The last night and day of the trip can be spent ashore for a meal or a few drinks. Your trip can also be tailored to either include a few days or extra week at a beach resort or we can construct an itinerary to take in some of the historical sites for which Egypt is so famous. We have extensive knowledge of the interiors of the fascinating country and use only the very best hotels and tours personally checked by our staff.